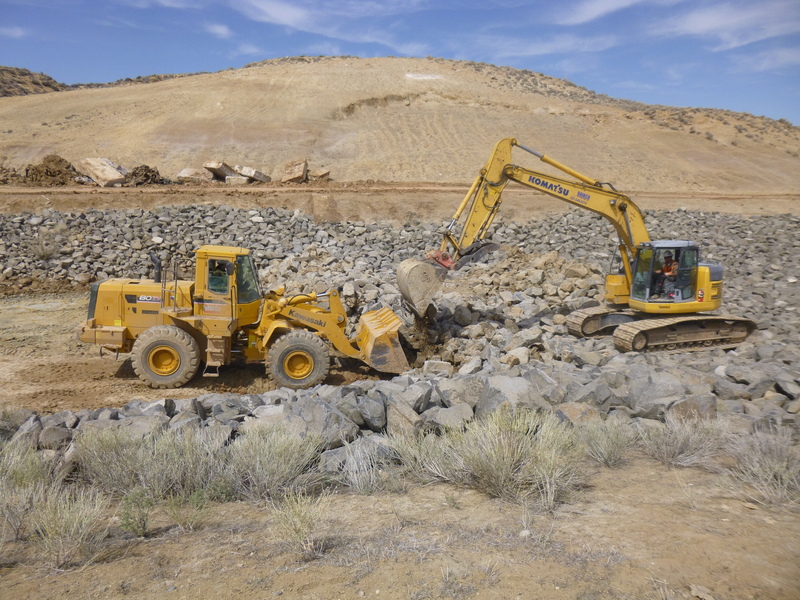 Dam Rehabilitation Archives - Bairco Construction, Inc. 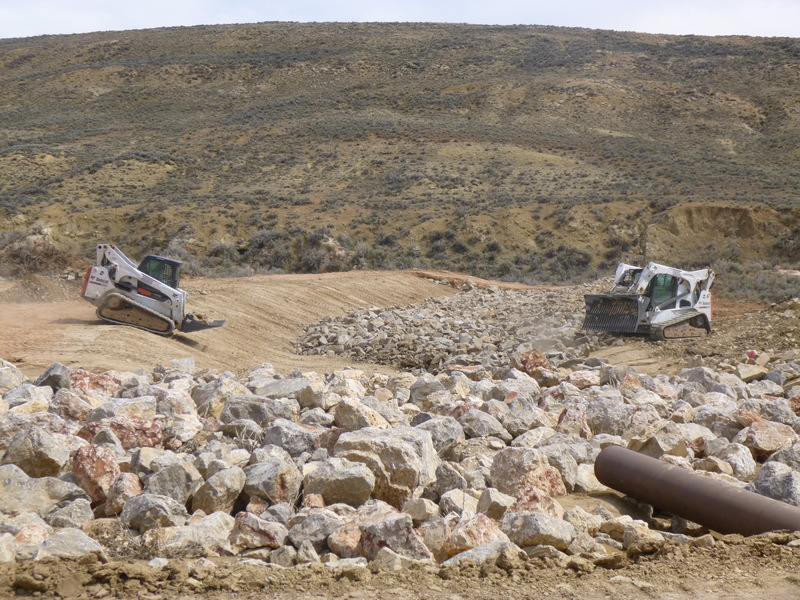 In 2007 Bairco Construction, Inc. was faced with the task of constructing a state-of-the-art fish barrier in the Crooked Creek Canyon of the Pryor Mountains. 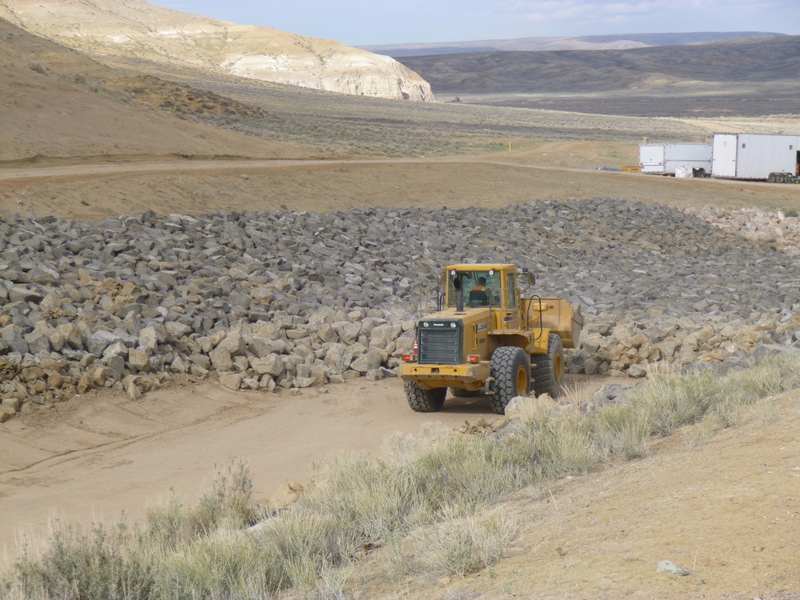 The purpose of this barrier was to protect a genetically pure population of Yellowstone cutthroat trout. Scientists and government personnel had worked towards building this structure for years. With the design officially completed and the funding secured it was finally time to begin construction. The huge challenge on this project was the location. 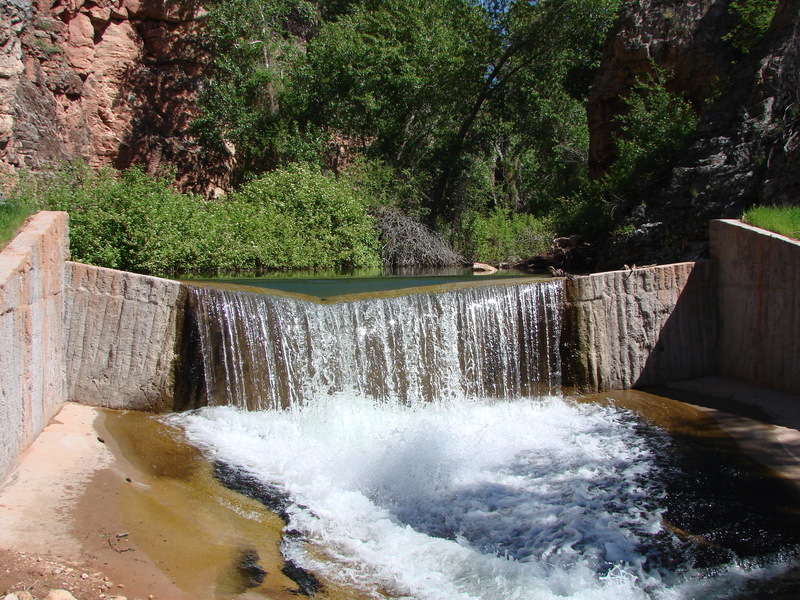 The structure had to be built in the bottom of the canyon in order to be effective. the site was not accessible by vehicle. 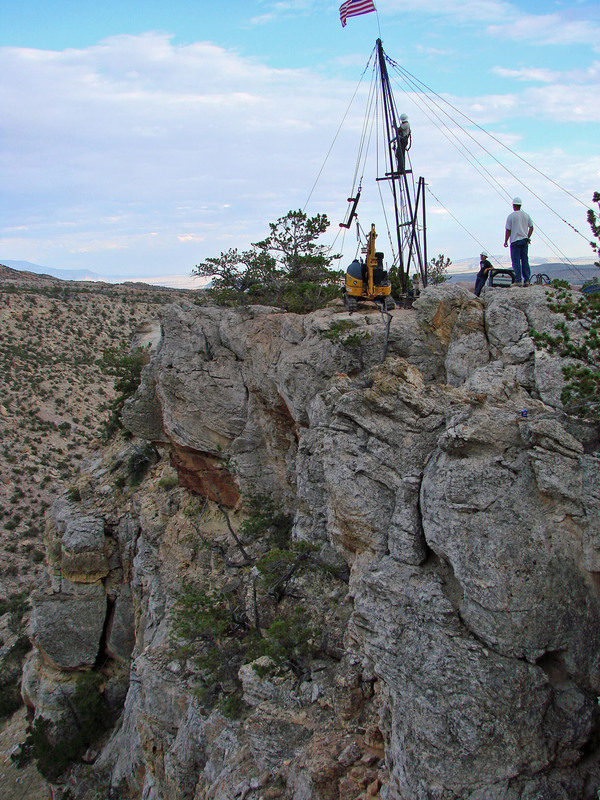 This meant that all equipment and materials would have to descend the 700-foot vertical canyon walls to the bottom. The plan documents suggested the use of helicopters as a solution to the accessibility problem. However, in the early phases of project planning, Bairco’s team discovered that the use of helicopters for this project was not in the government’s best interest. First and foremost, the narrow canyon created significant safety hazards for the pilot as well our crews that would be required to work near the drop zones. 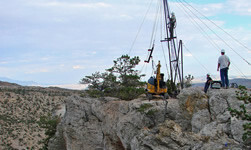 Second, the work was being performed in a wilderness study area. 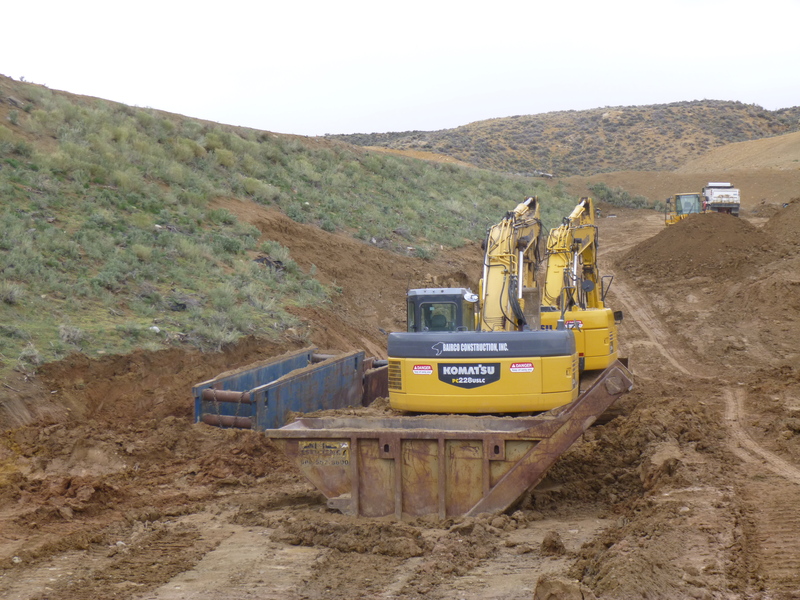 Therefore it was imperative that we mitigate disturbance to the site. using a helicopter would require additional tree clearing along with other disruptions to the area. third, the cost for the use of helicopters was tremendous. It would have taken many trips throughout the length of the project to drop each piece of equipment and every bit of materials. Additionally, an above-average occurrence of wild land fires in Wyoming and Montana had our local helicopter companies booked solid supporting the fire-fighting effort. There may not have been any helicopters available. It was necessary to find an alternative solution to this accessibility problem if this time-sensitive project was to continue. We went to work brainstorming possible resolutions. After careful examination of the canyon area a plan was formed. 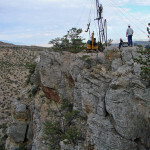 Bairco’s team designed a cable tram system that would run from the top of the canyon and affix near the bottom of the opposite canyon wall. 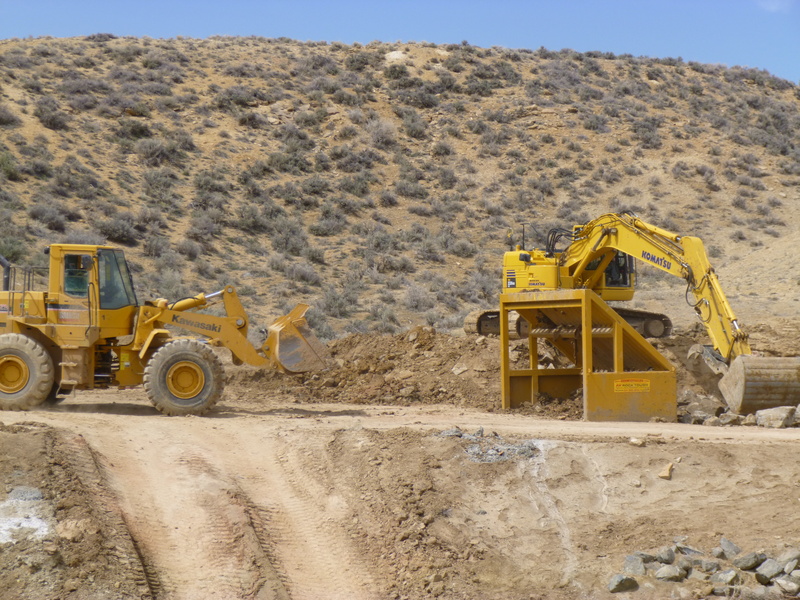 The system had to be carefully designed to support the weight of the materials and equipment including skid steers, an excavator and countless bags of dry concrete. the cable tram was constructed at our shop and then carefully erected on site. The equipment was lowered to the site and construction began. the system was safe, environmentally friendly, reliable and cost-effective. 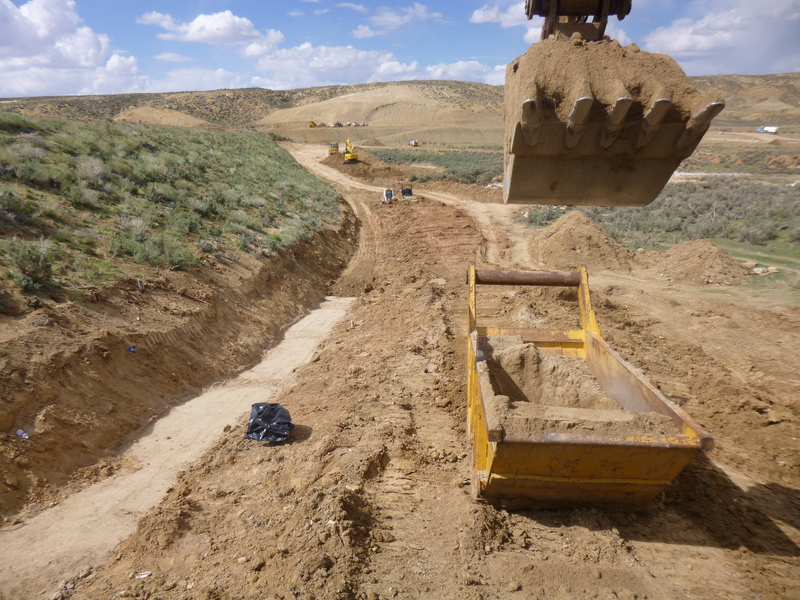 Construction was completed ahead of schedule and the cost was substantially less than originally anticipated. Bairco’s innovative plan was a complete success. The project won a national, project of the year award in 2008.